When I was a kid, library books had holders in the inside back cover. 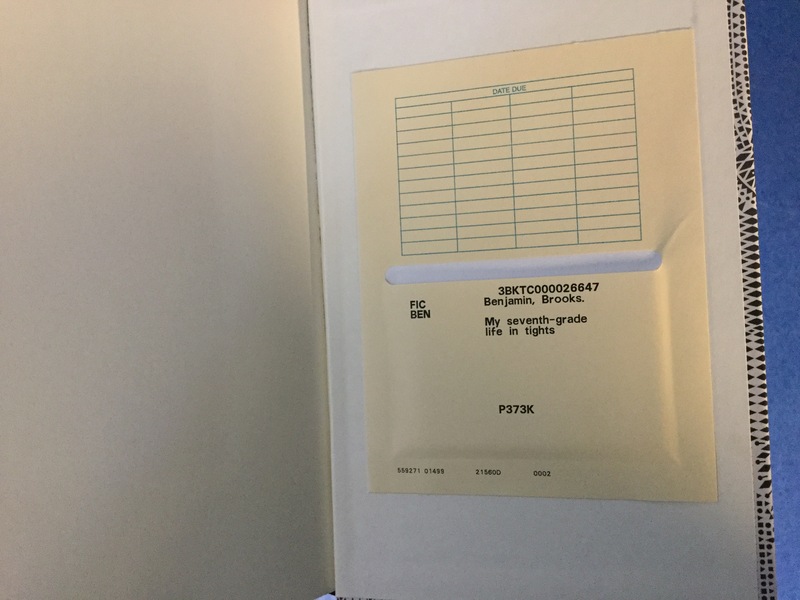 When you went to borrow the book, the librarian would date-stamp a slip of paper with the date the book was due, and then put that paper in the holder. With the advent of computers and barcode scanners, this is outdated technology. The same goes for card catalogs, those huge file cabinets with drawers filled with cards with information about books. Believe me, it took real skill to navigate the card catalog to find the book you were looking for. With the advent of searchable computer databases, card catalogs no longer exist. So why is it that new library books still have them? Weird!